Gordon was one of the toughest marathon runners at a time when marathon trails were actually run over hilly, hard courses and not fast flat ones. The marathon was a test of endurance and not of speed over a carefully selected route, He won the SAAA Marathon in 1960, and was second in 1959 and again in 1966. Gordon finished fourth in the 1962 Ben Nevis race; was overall Scottish Marathon Club champion several times; and also a fine ultra-distance runner, winning the 45 miles Edinburgh to Glasgow three times and setting a new record in 1966. In the 1950 E to G, John was in the Shettleston team that finished second; he won four more silver medals in 1951, 1952 and 1953, when he was fastest on Stage 7, and 1954, when he was fastest on Stage 3. In the Senior National XC, his team finished third in 1952, second in 1953 and became champions in 1954 and 1955. Walter Eadie started his career with St Modan’s AC, a club which had fostered such runners as Joe McGhee who went on to win Commonwealth gold for the marathon in 1954. Eadie had several talented team mates such as Tom Brown and Alastair McFarlane (all three were in the same team that was second in the Youths National in 1964). 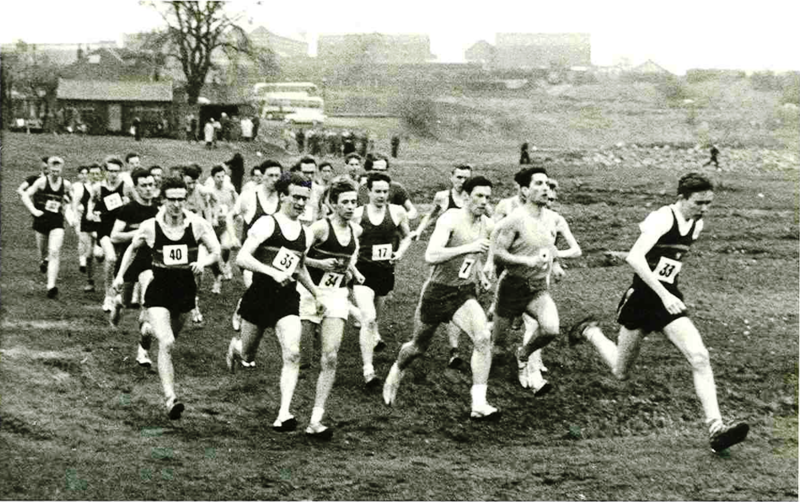 Eadie progressed through the ranks at St Modan’s third in the Boys National in 1962, 18th in the Youths race the next year followed by fourth as a second year Youth. By the time he was a first year Junior in 1965 he was fifth in the Junior National and selected for the ICCU Cross-Country competition in Ostend. A big talent that we never saw come to fruition since he emigrated to Canada following graduation. Derek, Stuart’s younger brother, represented Falkirk Victoria more frequently. He won two Scottish 2000m steeplechase titles in the Scottish Schoolboys Championships. As a senior he ran the steeplechase in 9:11.7 and a marathon in 2:26. In 1984 on Stage Four of the E-G he moved up three places and provided the momentum to win gold. In addition, he won bronze in the 1985 E-G and silver in the 1982 Six-Stager. In recent years, Derek has been a very successful coach. 800m: 1:52.9 1972; 1500m: 3:45.8 1974; 3000m: 8:40.3 1972; 5000m: 14:37.4 1979; 3000m /chase: 9:25.6 1978; Marathon: 2:23:33 1984. Stuart was a Scottish track international who specialised in the 1500m. He won a Scottish title indoors and two bronze medals outdoors, with a pb of 3:45.8. Finally he produced a 2:23 marathon. He ensured FVH’s first major triumph by running strongly on the last leg of the 1984 E-G. Nowadays he is a very fast veteran cyclist and triathlon competitor. Mel was second in the SAAA Marathon in 1967, and had been third in SAAA Three Miles in 1964. Mile: 4:24.4 1959; Three Miles: 14:59.0 1960. Ian was another Teviotdale Harrier, an elegant athlete who later switched allegiance to ESH. In 1966 he showed early promise by winning the East District Senior Boys title. He was running for ESH by 1973 when he led them to team bronze in the Senior National. This was followed by silver in 1974, 1977 and 1978, and gold in 1979, 1980, 1982, 1983 and 1984. Ian was ninth in 1979 and very disappointed not to make his debut in the World Cross. He proved the selectors wrong by winning the East District CC later that year. The Scottish Cross-Country Relay was a successful event for Ian Elliot, who won gold in 1975, 1978, 1981, 1982 and bronze in 1984. 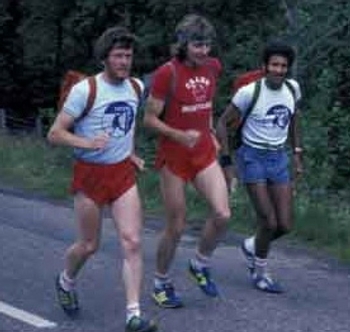 In addition he won two more team golds (1981 and 1982) in the Scottish Six-Stage Road Relay. 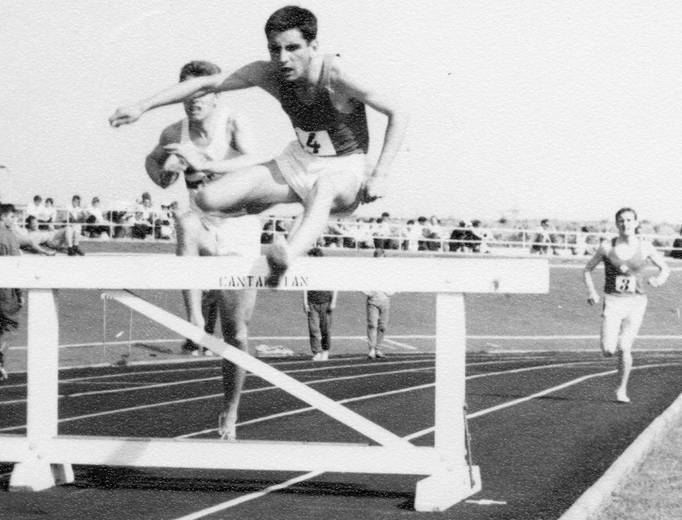 Ian’s personal bests were 3:49.5 (1500m), 14:14.4 (5000m), 29:55.0, (10000m) and 8:53,2 (3000m Steeplechase) in 1977 when he was second in the Scottish rankings. He won the SAAA Indoor 1500m title in 1974; and represented Scotland in the steeplechase in 1979. Eventually he returned to Teviotdale and enjoyed several years of considerable success in the Over-40 age-group winning two National Veterans’ Cross-Country titles in 1991 and 1992, plus other championships on the road and track. Teviotdale Harriers won three National Veterans Cross-Country team awards during this period. The three Ellis brothers were as much part of the great Victoria Park teams in the 1950’s as their better known team mates such as Ian Binnie, the Forbes brothers, Bobby Calderwood and company. 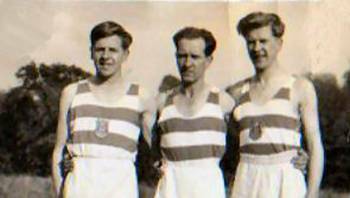 Only one was selected for Scotland in the International XC championships, and that was Jimmy, the oldest, in 1951, when he also won the Scottish 6 Miles title. They amassed 13 medals in the Edinburgh to Glasgow between 1949 and 1956 – Jimmy had 4 gold and 2 silver, Norrie had 4 gold and 1 silver and Syd had 2 golds. Medals were not as prolific on the country given the club’s strength in that department nevertheless Jimmy, the oldest, had 3 gold and 2 silver while Syd, the youngest only had 1 silver. They supported the club teams well in all the races during the winter road and country season and competed individually over the summer. What with the Ellises and the Forbes brothers, Victoria Park were well served by the family connections at the time. Chris ‘The Bear’ Elson was, along with Fergus Murray, a huge influence on the hard training schedule that brought such success to the marvellous EU teams of the mid-1960s. Alan Simpson, another Rotherham runner, who was to finish a valiant fourth in the 1964 Olympic 1500m and win a silver medal in the 1966 Commonwealth Games, had shown Chris how much effort was required. In the Senior National XC, EU finished third in 1965 and won the team title in 1967. In the E to G, Chris featured in three winning teams: 1965 (breaking the course record); 1966 (when he was fastest on Stage 8); and 1967. Brian kept improving after he turned forty. For Teviotdale, he ran the E to G nine times, winning ‘most improved’ medals in 1986 and finishing third in 1991. In 1989 he was third M40 in the British Veterans Cross-Country Championship at Sunderland, close behind GB International Andy Holden and Aberdeen’s Colin Youngson. In 1990 he won bronze in the Scottish Vets Cross-Country. However his finest running was in the next age-group. Brian won the Scottish Veterans M45 title in 1994, 1995 (second in the race behind M40 Brian Kirkwood) and 1997. Teviotdale won Scottish Veteran XC team titles in 1991, 1993 and 1994. Brian ran well for Scotland in the British and Irish Masters International XC, especially in 1991, when he finished 5th M40 and first Scot, leading his team to silver medals. In 1995 he also ran in the National Senior, finishing an outstanding 51st at the age of 46. What could he have achieved if he had taken the sport seriously in his twenties? Gareth was a student at Edinburgh between 1962 and 1965 and was a member of the team when it was beginning to be a serious contender for major medals in the 60’s. A regular member of the team he was second counter in 1965 when EU was third in the national. On the track he was the team’s first string over 880 yards from 1963 and finished second in the Scottish Universities championship in 1965. He was third in the Mile in the East v West at Pitreavie in 4:12.8. With Shettleston, Jim won several team medals: Senior National XC gold in 1977 and bronze in 1978; 1976 Scottish XC Relay silver; and E to G bronze in 1978. With Falkirk, he added 1985 E to G bronze (or silver if you discount the mixed team ‘The Kangaroos’, as you should); and 1982 Scottish 6 Stage Road Relay silver. Graham was a very talented, and also very popular athlete who won SAAA One Mile title in 1959, 60, 61, 63 and 64. SAAA: 1st 3000S 1967, 2nd 3000S 1968, 3rd Mile 1963, 3rd 3000S 1966, 3rd 3000S 1969, 3rd 3000S 1970. Like Dave Taylor, John often featured in the second team at EU, since the first team men were Scottish Senior National XC champions! However he showed real promise and may well have won team bronze in the 1968 Junior National XC. He did run the E to G in 1968, when EU finished 7th. Earlier that year he was one of the six-man EU team that shattered all records for running up the stairs to the top of the Post Office Tower in London. Many years later, he won British Veteran titles and ran frequently for victorious English teams in the British and Irish Masters International XC.